Bladder Chain Algae Cystosierra osmundacea commonly grows on rocks in lower tidal zones as deep as 10 meters along Eastern Pacific coastal areas. This alga has fern-like base “leaves” and many series of bead-like bladders on long strands. Our standard Bladder Chain Algae is a single strand plant approximately 32″ (80 cm) long, however, other lengths are available. Minimum order is four plants. Plant includes a barbed end for anchoring, however, they can be customized for use with a threaded anchor, holdfast, or artificial weighted rock. 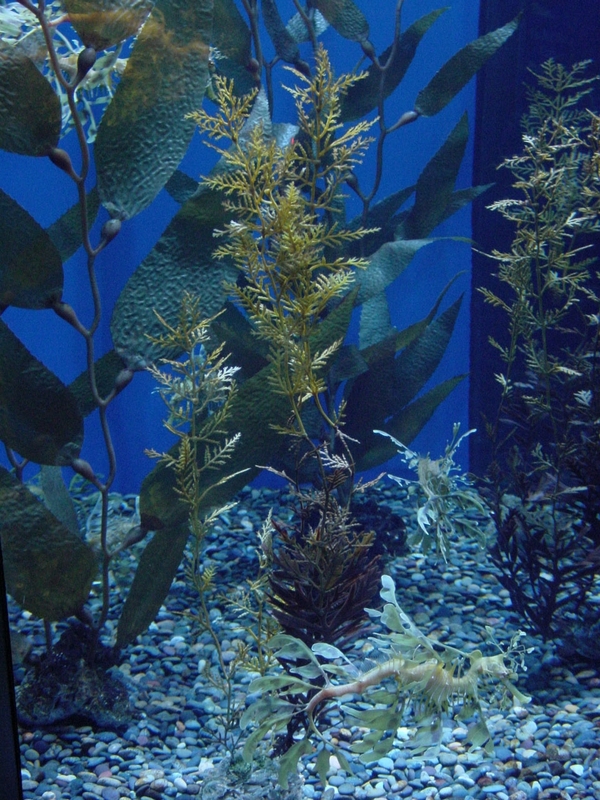 Standard Bladder Chain Algae plant is 32″ (80 cm) long. Bladder Chain Algae with Giant Kelp at Aquarium of the Pacific in Long Beach, California.